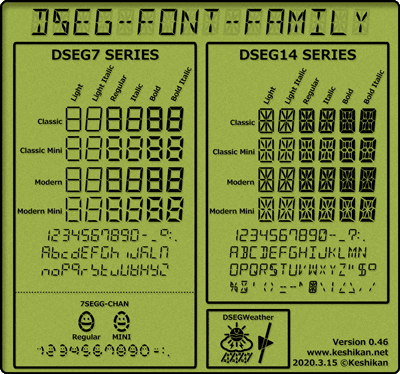 Erik Hofman has added Keshikan's excellent 7- and 14-segment display font family to FGData. They are in the TrueType format, and are located in fgdata/Fonts/DSEG. This adds 50 types of LED/LCD fonts in one package. The motivation for this was his need of one for Canvas which the current fgdata/Fonts/7-Segment.ttf font did not provide. You can read more about the fonts here. See also this image. 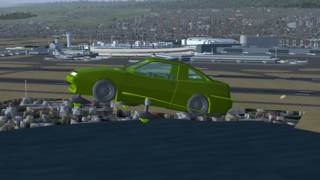 The Aucafly T1 has been released. It can be found in GitHub. See also the official website. The GTA V Washington has been released. It can be found in GitHub. See also the official website. The GTA IV Tampa has been updated. It can be found in GitHub. See also the official website. Throttle and thrust vector levers fixed. 3D Models for the pilots. Users can hide/show them by pressing ⇧ Shift+y. Major enhancement of the simulation of systems and instruments. 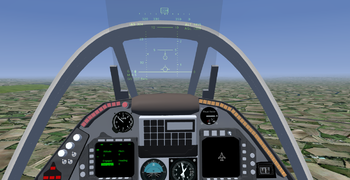 The aircraft now features two independent pitot and static systems, one for the pilot's instruments, and the other for the copilot's instruments. If the pitot tubes get iced, it will disable the whole pitot system, not just the airspeed indicator. In addition to this, a second KI206 VOR indicator was added to enhance the IFR capabilities of this aircraft. 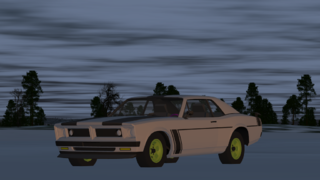 A very first version of the hydraulic system has been added. At this time it only contains a gauge for the hydraulic pressure, and the pressure is dependent on the voltage output of the electrical system. All switches are now animated with a smooth transition from one position into another. 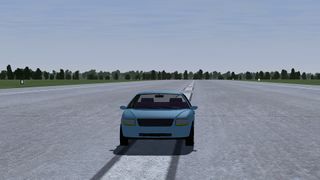 A fully animated nose wheel steering lever has been added. As part of the new release, there's an opportunity for us to include some carrier aviation if we wanted to. The Marinha do Brasil (Brazilian Navy) operates the aircraft carrier NAe São Paulo, which happens to have previously been the French aircraft carrier Foch, which we have a working model for. They also happen to operate Douglas AF-1 Skyhawks (a variant of the A-4 Skyhawk), which we also have, albeit not in the appropriate livery and not quite up-to-date avionics. If anyone is interested in doing so, it might be a nice enhancement to include an AI scenario with the Foch off the coast of Rio, and include livery support on the A4 to match the Marinha do Brasil. As Brazil is one of the few countries operating CATOBAR aircraft carriers, it seems a fine opportunity to add an additional international flavour to the sim for the upcoming release. FlightGear's Screenshot of the Month June 2016 is Costa Brava by Catalanoic. If you want to participate in the screenshot contest of July 2016, you can submit your candidate to this forum topic. Be sure to see the first post for participation rules. For purposes of convenience and organization, after all the entries have been submitted, a new forum topic will be started containing all shots in an easy-to-view layout. The voting will then take place there. Once the voting has finished, the best screenshot will be presented in the Newsletter edition of July 2016. ↑ erik (Jun 25th, 2016). 7 and 14-segement display fonts. ↑ Stuart Buchanan (Jun 9th, 2016). [Flightgear-devel] Naval aviation in Brazil. This page was last modified on 2 July 2016, at 11:19.